“Misthal says she tried to avoid the deer but couldn’t. The force of the impact sent the animal airborne and into her front windshield. She says that she was on her way to work and was about a mile and a half away from home. Misthal says that she pulled over and that a good Samaritan also pulled over to help her. “And he said, ‘You know the deer is still in your car?’ and I was like, ‘What?’ I was so shocked, and I looked in the backseat window and I did see it in there,” she says. Many people would most likely lose control of their vehicle when left with the split decision of an imminent collision. The fact that this driver kept her composure during and after the ordeal is amazing. Coming out of it relatively unscathed is equally as fortunate. 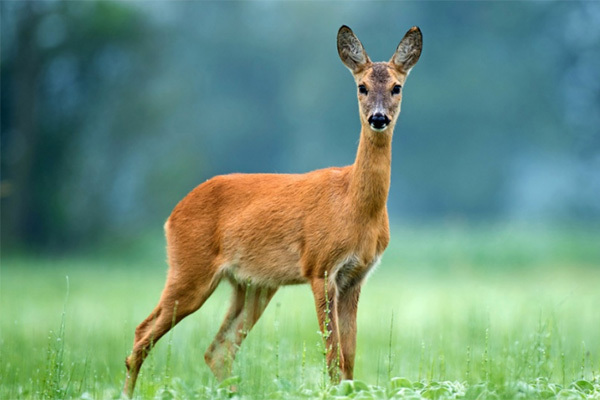 It’s extremely important to drive cautiously in rural and suburban areas where deer are known to inhabit. Your life might depend on it. If your windshield has been damaged in an accident call Advantage Auto Glass at 612-343-8984. We’ll work with your insurance provider to make the process as smooth as possible.